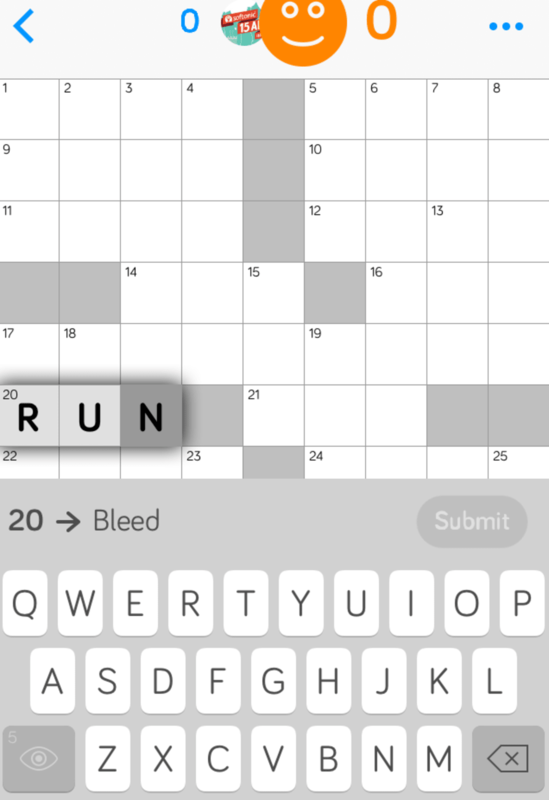 There are a couple of interesting features that Crossly adds to the crossword game genre. 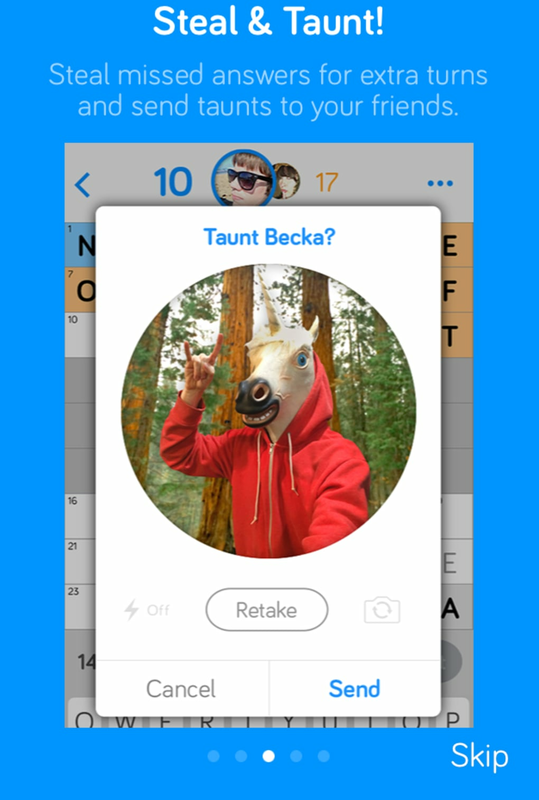 You can steal your opponent's points if they get the answer wrong. And if your steal is successful then you get an extra turn. 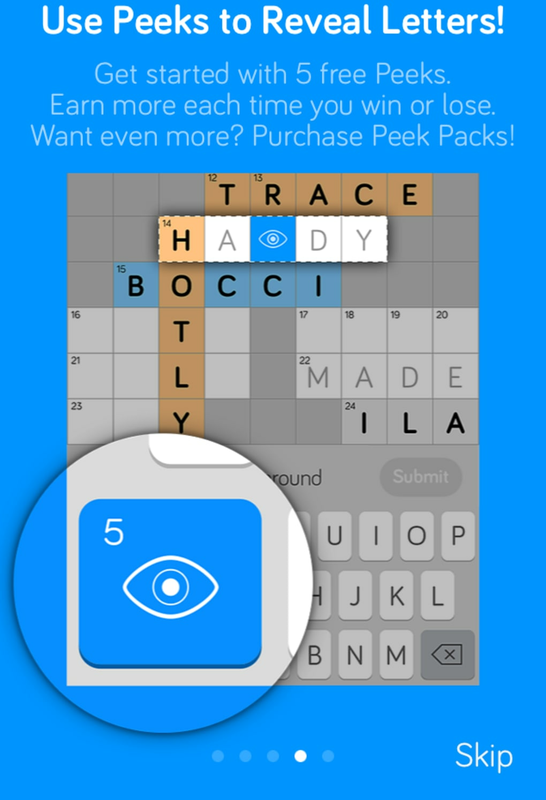 Then there is the peek feature (looks like an eye), which reveals a letter if you're struggling with a word. You get five free peeks to start with and then you get extra peeks for finishing games. You can also pencil in words when it's your opponent's turn. 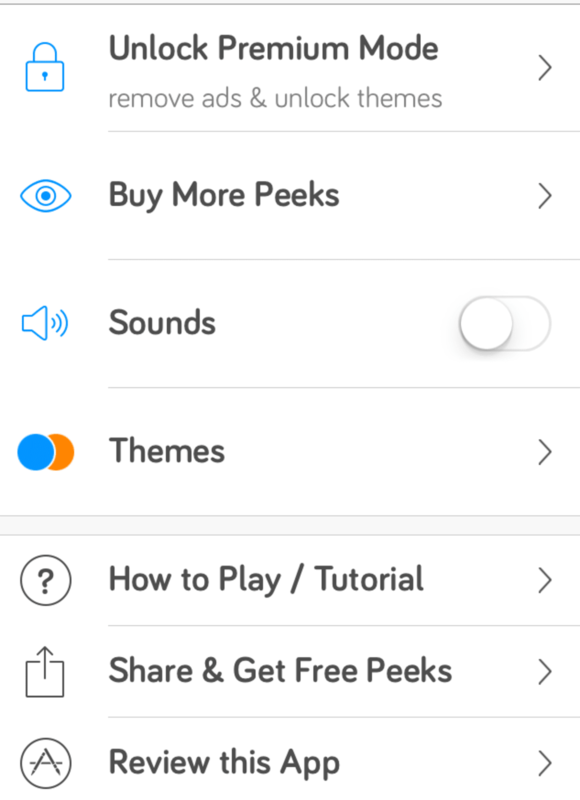 You can unlock the premium mode of Crossly for no adverts, more themes, and free peeks, and there are several levels of the paid version depending on how much you are willing to pay. 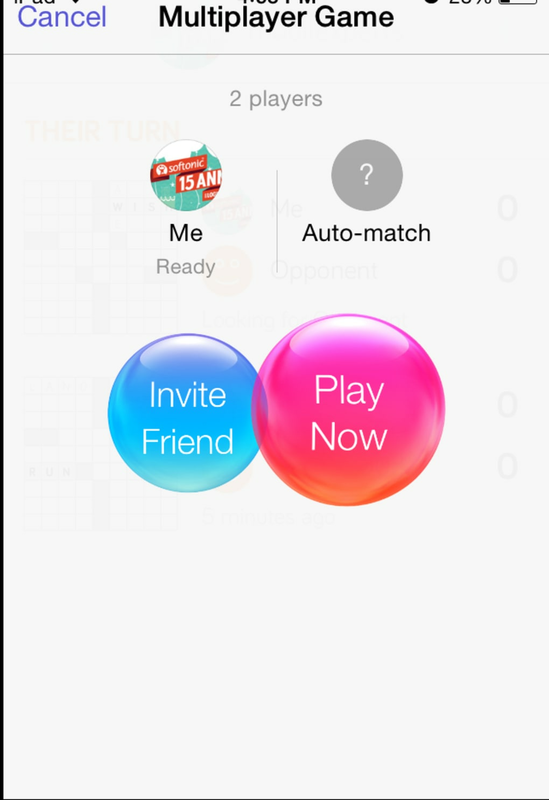 Crossly lets you play against random opponents or your iOS Game Center friends. 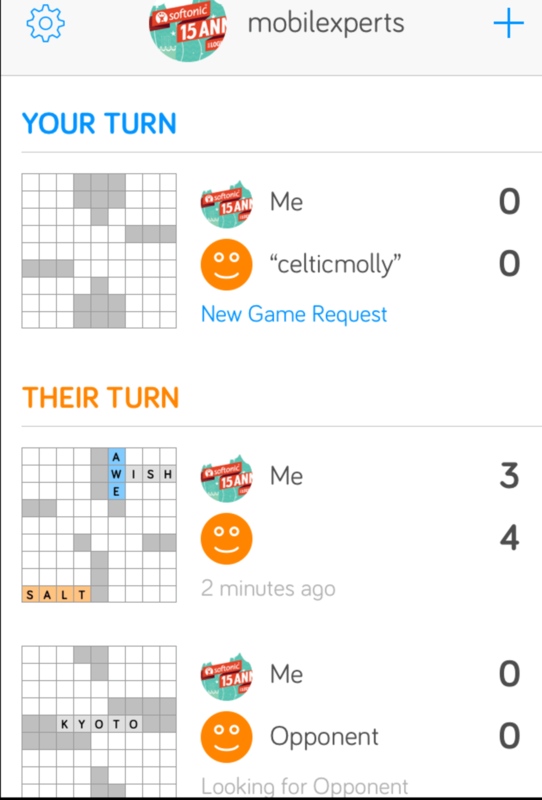 Sadly, there is no Android version of Crossly yet and it currently doesn't link to Facebook to show you friends there that are playing there, though there are plenty of random players available. 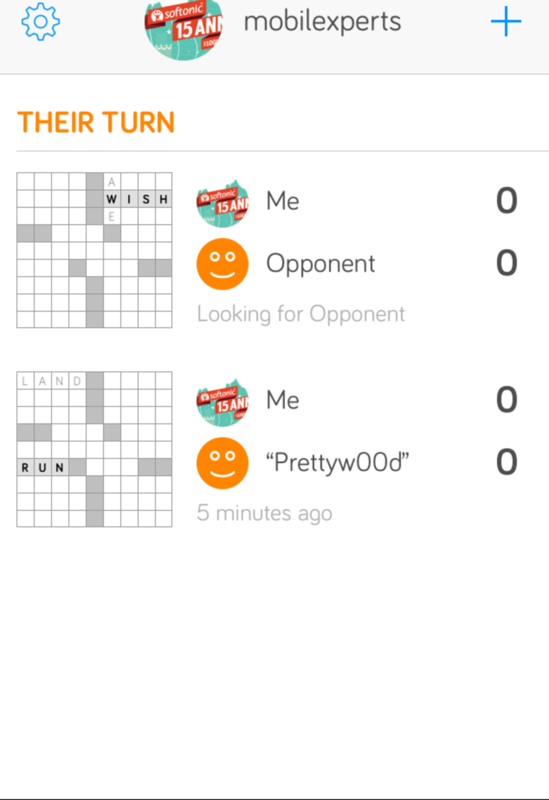 Crossly also lets you send 'taunts' (only to your friends, not your random opponents) in the form of photos, so you can get some friendly rivalry going in the game. The feature that would be good to see is the ability to sort puzzles in some way rather than just being assigned a random one – maybe this could be in order of difficulty or by subject. Crossly is so easy to use. 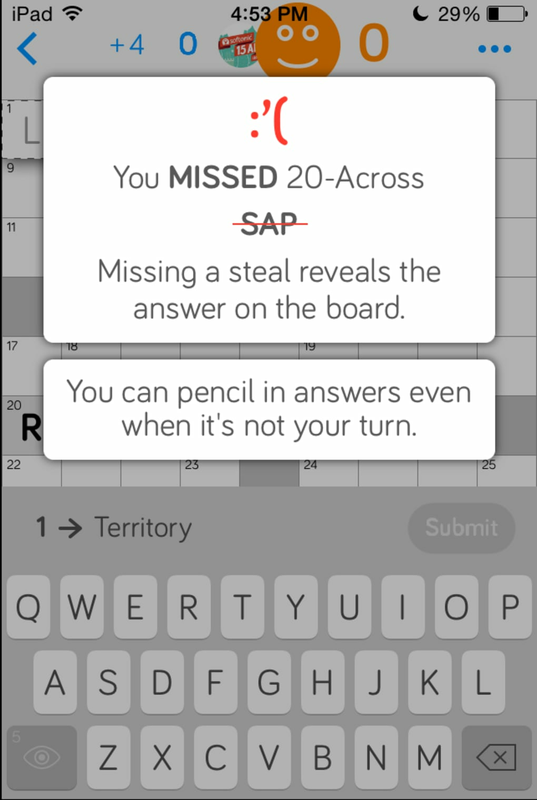 You tap on a game to take your turn and then fill in the letters on the keypad. 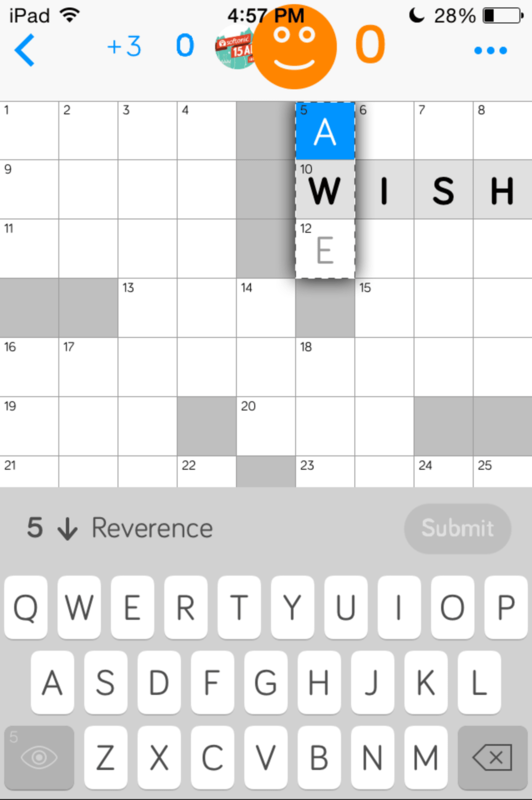 Another click switches between across and down words. The crosswords are pretty tricky and there are some very strange clues, but that is something that could be fixed with a filtering system. Just like any of these games, there are people that will cheat but there's not much the game developer can do to prevent it! 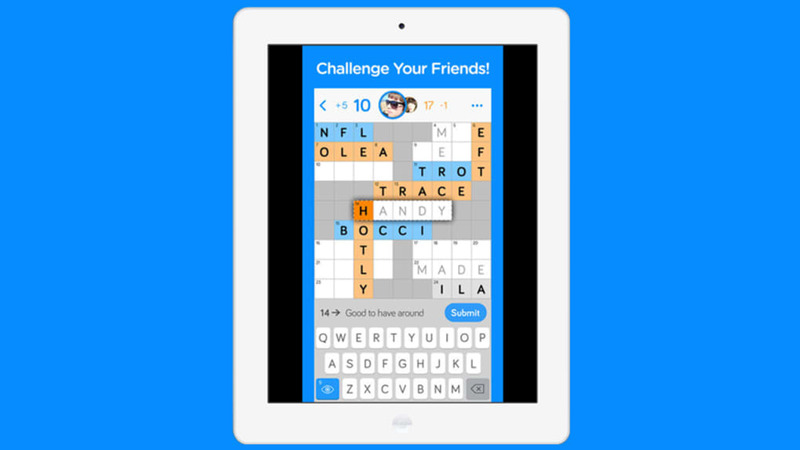 It looks a lot more user friendly and attractive than a lot of the crossword puzzle games out there, which seem to take themselves very seriously, whereas Crossly is presented as being a game designed for fun. 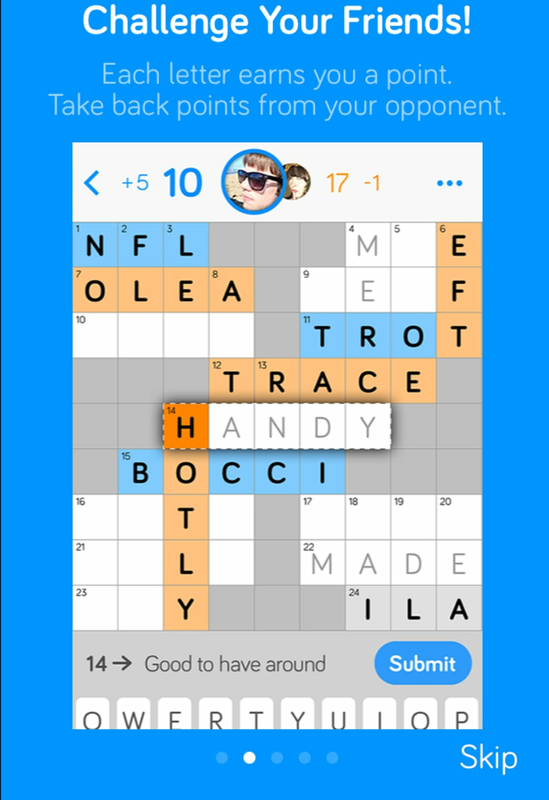 Crossly is the kind of game that could change the face of crossword puzzle apps. 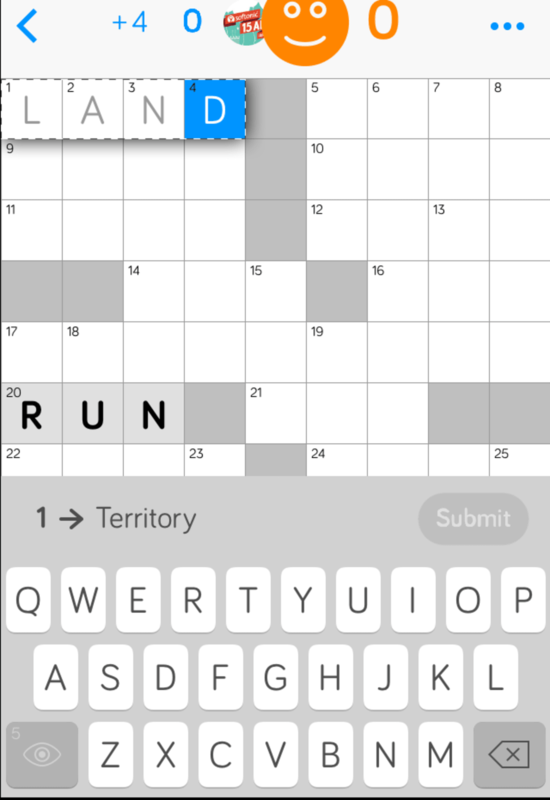 With its emphasis on fun and not taking itself too seriously, along with the ability to play with friends and 'taunt' them by sending silly pictures, Crossly is the crossword puzzle game for the masses. What do you think about Crossly? Do you recommend it? Why?